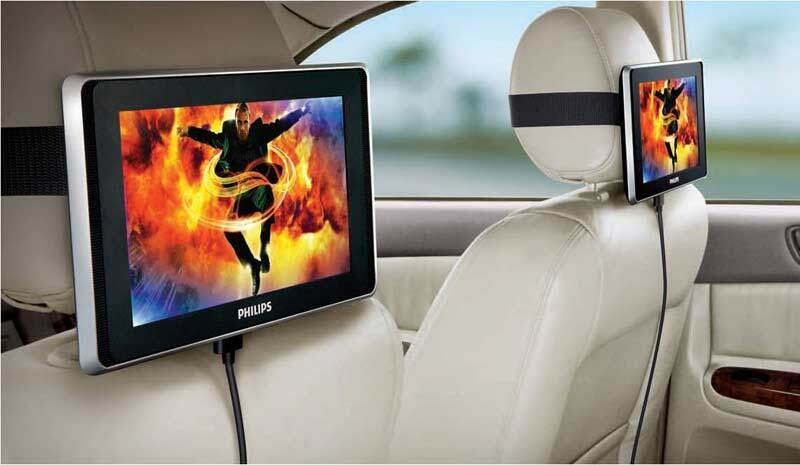 Transform your car into a mobile home theater with the Philips TwinPlay Dual screenin-car video viewer. Featuring two 9" lightweight widescreen LCD displays, this entertainment system allows you to entertain your backseat passengers with video, music, and photos from your iPod, iPhone, or iPad. The two LCD displays mount easily to the back of the front headrests. Simply connect your device and create an engaging in-car entertainment experience. 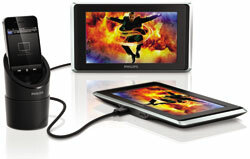 Features two 9-inch widescreen LCD displays and an iPhone cup holder stand. View larger. Easily mount the TwinPlay widescreen LCD panels to the back of the front headrests. View larger. 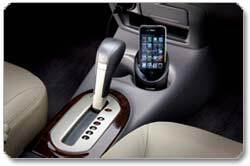 Cup holder stand conveniently holds iPhone and keeps the parent in control. View larger. 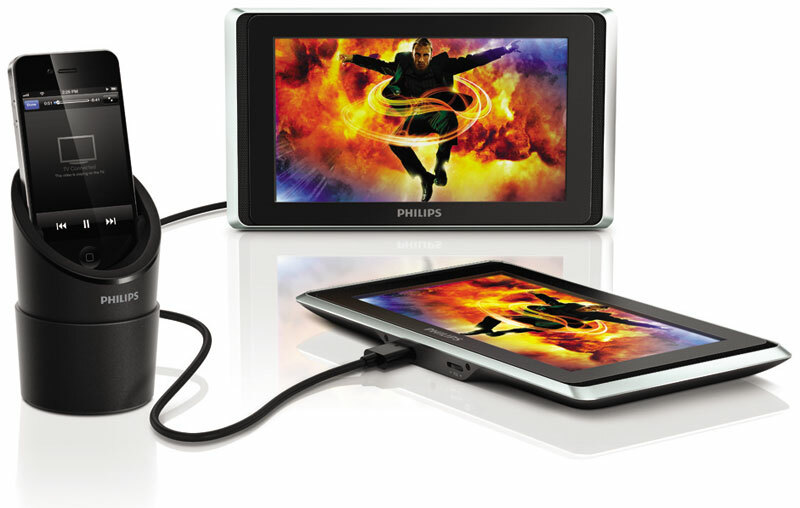 The Philips TwinPlay lets you play and share videos, photos, and music from your iPod, iPhone, or iPad on two 9-inch widescreen LCD displays. This means your backseat passengers can listen to your full iTunes library or access a wide variety of movies, videos, and music instantly from providers like Netflix, YouTube, and Pandora while traveling. And thanks to the system's built-in stereo speakers, you'll enjoy a rich sound experience. Conveniently manage and control all of your entertainment from the front of the car with your iPod, iPhone, or iPad while your backseat riders enjoy the show. 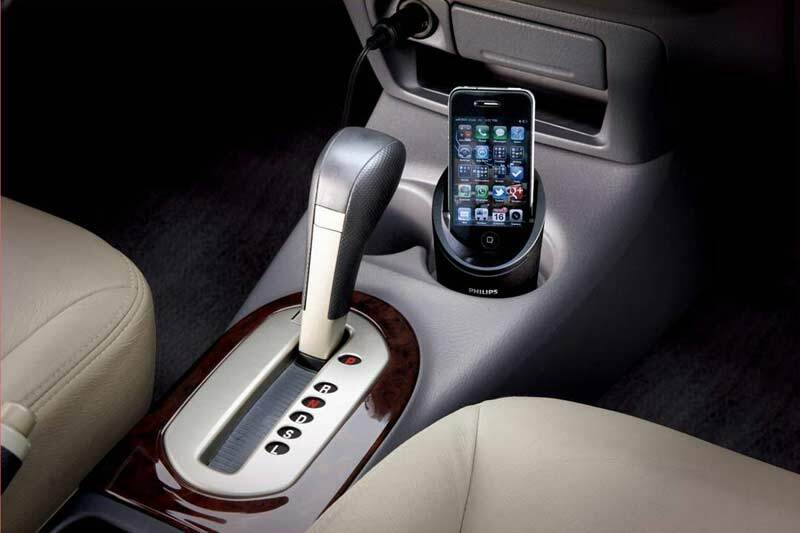 An integrated cup holder stand keeps your iPhone within easy reach while you ride. You can even answer incoming calls and easily resume your movie or music right where you left off. The TwinPlay widescreen LCD panels easily mount to the back of the front headrests with mounting straps. To complete setup, simply connect the all-in-one power, charge, and video cable to your device. The all-in-one cable connects and charges your device while you share movies, videos, and music so you're never in fear of a dead battery.